After visiting the Royal Palace, our troop made itsway to the Air Force Generals' House. 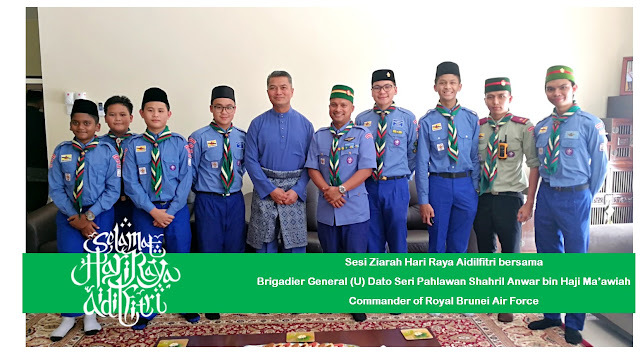 Brigadier General (U) Dato Seri Pahlawan Shahril Anwar bin Haji Ma’awiah, has been a great supporter of SOAS College Air Scouts and invites the troop for Raya Open House. It was a great honor to meet with such a distinguished aviator, where the students talked about career paths and casual matters. The visit ended with salam raya and a quick photo session.